A ‘warning shot’ for Mayor Biskupski? Former Sen. Jim Dabakis leads in early polling for 2019 Salt Lake City mayor’s race. 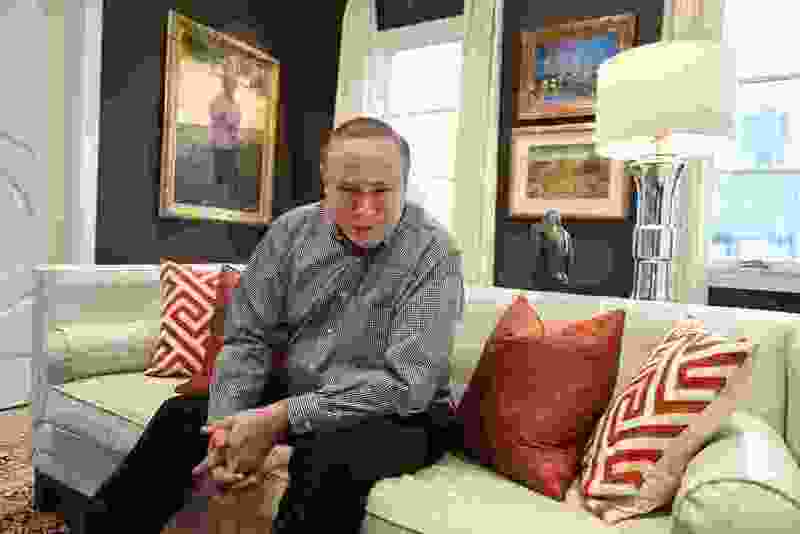 (Francisco Kjolseth | The Salt Lake Tribune) Former state Sen. Jim Dabakis strikes a pose at his home in the Avenues in 2018. A new poll conducted by the Hinckley Institute of Politics shows Dabakis leads a pack of potential and actual candidates for the 2019 mayoral race. Former state Sen. Jim Dabakis leads a pack of some presumed and actual candidates in the upcoming Salt Lake City mayoral race, a new poll shows — perhaps spelling bad news for current Mayor Jackie Biskupski, who has said she will run for a second term. The poll, by The Salt Lake Tribune and the Hinckley Institute of Politics at the University of Utah, shows Dabakis with the support of 26 percent of respondents, leading Biskupski by 12 percentage points. And while they’re not definitive, those numbers should definitely be seen as a “warning shot” for the mayor heading into the 2019 election, said Jason Perry, the institute’s director. Salt Lake City has not had a one-term mayor since it changed to the mayor-council form of government in 1980. So far, Biskupski, Dabakis, Latino businessman David Ibarra and former Salt Lake City Councilman Stan Penfold have announced their intent to run for the seat. The Tribune-Hinckley poll found Sen. Luz Escamilla, D-Salt Lake City, and Penfold each carried the support of 6 percent of the respondents surveyed. Ibarra earned 3 percent and David Garbett, who left his role as executive director of the Pioneer Park Coalition to contemplate his candidacy for mayor, held 2 percent. Still, the survey — which was conducted Jan. 15-29 and included responses from 305 registered voters in Salt Lake City — shows the vast majority of voters remain undecided. Dabakis told The Tribune that he’s “thrilled” to see voters have early confidence in his bid and noted he’s looking forward to getting his campaign machine moving. “I just want to keep fighting until everybody wants me to be the mayor,” he said. In a Facebook video announcing his candidacy in December, Dabakis said the mayor needs to be a “great ambassador” for the city who coordinates with the Legislature on issues like air quality, transportation and affordable housing. He also indicated he would continue to fight for issues related to education, as he did on Capitol Hill. 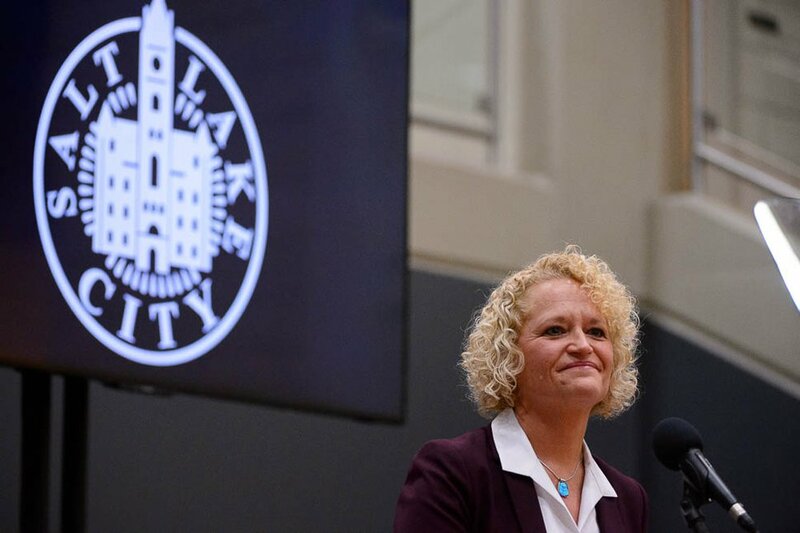 (Trent Nelson | Tribune file photo) Salt Lake City Mayor Jackie Biskupski gives her State of the City address at East High School in Salt Lake City on Thursday Jan. 17, 2019. In a written statement sent to The Tribune, Biskupski didn’t reference the poll directly and instead said she’s looking forward to running a campaign that’s rooted in demonstrating the city’s accomplishments under her leadership. Biskupski focused on similar issues during a victory lap at her State of the City address last month. There, she celebrated the adoption in 2016 of a 100 percent clean-energy program, lauded the City Council’s passage in May of a half-penny sales tax increase that will help fund initiatives like transportation and public safety, and praised voters for approving an $87 million road bond city leaders say is needed to fix failing streets. But the mayor has also faced some challenges since her election in 2015. She came under fire almost immediately for purging city staff when she took office, clashed with the county and the City Council over the homeless shelter site selection and saw backlash over her decision not to take part in negotiations on the controversial but consequential legislation creating an Inland Port in the westernmost part of the city. While incumbents typically have an advantage in early polling due to name recognition, the Tribune-Hinckley survey showing Biskupski trailing Dabakis isn’t the only indication she may be in trouble moving into this year’s election.